Todd Fine returns as the 12U National Team Manager for the second year in a row along with the rest of the 2018 staff, including Jason Sekany as the team's pitching coach and RJ Farrell and Marc Wiese as assistant coaches. On Tuesday, USA Baseball announced the dates for the 2019 11U and 10U Futures Invitationals. Check out the 2019 Fan Guide for everything you need to know about next year's tournaments. USA Baseball announced on Wednesday the 68 athletes that were selected from the 2018 National Team Identification Series (NTIS) to participate in 2019 national team programming. 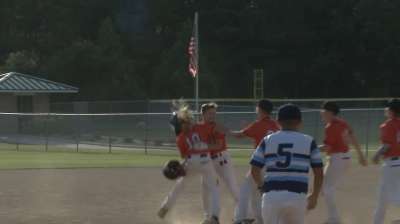 Team USA scored seven runs over the first three innings and the quick offensive led to the victory over Mexico to claim gold and win the 2018 COPABE U-12 Pan American Championships with a perfect 9-0 record. 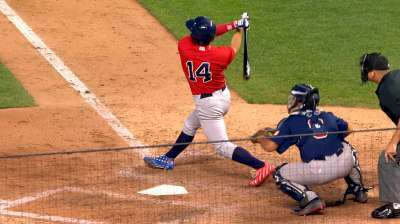 AGUASCALIENTES, Mexico - The U.S. used a nine-run first inning and Brady Strohm pitched USA's second consecutive one-hitter (fourth of the tournament) to shutout Nicaragua 15-0 in a game shortened to three innings to close out Super Round play. If you would like to play for Team USA in 2018 or 2019, consult the USA Baseball National Team Road Map, the comprehensive guide for more information on the national team selection process. Want to find out which USA Baseball alumni play for your favorite team? Check out our list of all current alumni on MLB rosters.